"When I did hear about Lyme disease, I thought to myself, 'If only they'd get regular exercise and eat well, they'd get better.' I had no idea what these people were going through." I lay on the emergency table, my left breast prepped for microsurgery. The resident peered at the underside of my bosom to examine the creature clamped in the middle of a dark and angry rash. The spider-like bug had been there for at least three days, having hitched a ride all the way from the grassy marshes of Prince Edward Island, where I had spent an afternoon in hip waders and bulrushes. "I've seen hundreds of ticks," the doctor assured me, his scalpel flashing under the hospital lights as he slashed into my breast to dislodge the bug. "I've picked them off myself up north. "It's not a tick," he continued, gluing my skin back together. "So don't worry." Three years later, I wasn't worried - I was panic-stricken. A strange illness had begun to assault me. My body felt like a powder keg. My skin was on fire. I was dizzy and had chest pains. My muscles twitched, and I had trouble keeping my balance when I walked. I shuffled from doctor to doctor, desperately trying to convince someone that the symptoms were not something a prescription for anxiety pills would heal. I was tested for HIV, syphilis, West Nile; nothing showed up. I was finally told I most likely had two autoimmune diseases - that I was in the early stages of both multiple sclerosis and lupus. My own layperson's investigation suggested a more plausible explanation: Lyme disease, tracing back to that bite three years before. What I could never have imagined as I set out to seek treatment was that I had stepped into the middle of one of medicine's most vengeful clashes - a war that not only pits patient against doctor, but also physician against physician. Patients' lives are in the balance as U.S. doctors lose their licences, casting a chill over the entire North American medical community. This war has claimed hundreds of thousands of Americans, and many more who go undiagnosed and untreated - not only victims whose lives are diminished, but also many who are in wheelchairs or bedridden. Many Canadian doctors and medical institutions are like conscientious objectors, not only retreating from the battle but also seemingly denying its existence. I encountered outright hostility to the possibility that I could have been infected by a tick bite in Canada. Lyme disease is an acknowledged epidemic in the United States. There are hundreds of thousands of Lyme patients, most of them in states next to the Canadian border. Last year, there were more than 21,000 reported cases of Lyme disease in the United States, but the Centers for Disease Control believes that the number is actually 10 times greater. The number of Americans infected with Lyme disease over the past 30 years could be as high as three million. Daryl Hall of Hall & Oates recently cancelled a tour because he was too sick with Lyme disease to travel. He is just one among a star-studded cast of victims that also includes best-selling authors Rebecca Wells and Amy Tan. By the time she was diagnosed, several years after she first became ill, Ms. Tan was allucinating. She has recently joined the groundswell of increasingly rancorous patient-advocate groups south of the border. The CDC's map shows areas of widespread Lyme infestation all along the eastern seaboard. But here in Canada, ticks, which are carried by songbirds and mice, apparently need a passport. "It's here in minute cases, confined to a relatively small number of areas," says Paul Sockett, who heads the Health Canada department that oversees diseases that pass between animals and humans. He argues that the endemic areas in the United States may be located in the middle of those states, so the ticks wouldn't make it as far as the Canadian border. But Ernie Murakami, in Hope, B.C., says his own caseload shows the official statistics are deeply flawed. Dr. Murakami, known among advocacy groups as one of a handful of "Lyme-literate" doctors here, says he has treated 1,000 Canadians for the disease, from Halifax to his home province. He has counselled another 1,000 patients and their doctors by telephone. Dr. Murakami says Canada is on the cusp of its own epidemic. "It's atrocious just how many cases are being missed by doctors," he says. "People's lives are being ruined. They're completely disabled when all they needed was antibiotics." Many people go years without a proper diagnosis. They lose their health, their jobs, their homes and sometimes friends and family who have trouble comprehending just how debilitating the disease can be. I was much luckier than most, because I began antibiotic treatment seven months after my first symptoms appeared. But even I was already too ill to work. In the doctors' defence, Lyme can be a difficult disease to diagnose. It is dubbed "the great imitator" because it mimics so many other diseases. People with Lyme disease are most commonly misdiagnosed with everything from arthritis to fibromyalgia, chronic fatigue syndrome, arthritis, multiple sclerosis, Lou Gehrig's disease, Parkinson's, Alzheimer's and bipolar disorder, to name a few. While German researchers first recognized the bacterium more than a century ago, it wasn't until a group of mothers in Lyme, Conn., noticed that their children had all been suddenly diagnosed with juvenile arthritis that researchers began to search for the culprit. Lyme disease has now been reported in 50 U.S. states, but is also on the upswing in China, Europe, Japan, Australia and the former Soviet Union. The name of the bacterium is Borrelia burgdorferi. It's spread by deer ticks - often no bigger than a poppy seed - when they clamp on to the skin, feeding on the host's blood while allowing the bacterium to invade the body. The organism moves better through tissue than in blood, eventually embedding itself in the central nervous system, heart, brain, liver, spleen and joints, causing everything from mild pain to dizziness and paralysis. Often the first sign of Lyme disease is a bull's-eye rash. If recognized early enough, the disease is easily stopped in its tracks with a few weeks of low-dose antibiotics. Health Canada's numbers do make it seem that Canadians have little reason to worry. There have been 310 reported cases of Lyme disease in Canada since 1994, mainly in Ontario and B.C., and more than half reportedly caused by tick bites outside the country. But those numbers do not include the growing army of people like myself, who got their positive tests at specialized U.S. labs. And Dr. Sockett's view is not shared by everyone at the federal health agency. Robbin Lindsay, a Health Canada research scientist, says the organization is aware of several areas infested with Lyme-carrying ticks, including Lunenburg, N.S., and Rondeau Park, Presqu'ile, Point Pelee and Long Point in Ontario. Much of British Columbia, Dr. Lindsay says, is also rife with Lyme-infected ticks. In reality, she warns: "You can acquire a tick that is infected pretty much anywhere in Canada." Jim Wilson of Westbank, B.C., has witnessed the toll of Lyme disease within his own family and across the country. He was infected with the bacteria in Nova Scotia in the early 1990s, but it wasn't until his own daughter become ill a decade later in B.C. that he realized the extent of the problem in this country. He founded the charitable Canadian Lyme Disease Foundation two years ago to give a national voice to the disparate patient groups in various provinces. He says he receives dozens of e-mail messages a day from people trying to find help. "Let's just admit that we're missing something very big here," Mr. Wilson says, adding that his website gets more than 40,000 hits a day. "I just got a call from a reporter up in Gander, Nfld., wanting to know what's going on, because so many people believe they've got Lyme. It's everywhere but it's nowhere, according to Health Canada." Because of the lack of acknowledgment from the government, Lyme disease isn't even on the radar of most doctors, contributing to the misdiagnosis and debilitation of hundreds of Canadians, according to Mr. Wilson's lowest estimates. In my own case, by the time I ended up in the office of Jay Keystone, one of Canada's top infectious-disease doctors, I had already seen about 20 doctors. It was early spring and Dr. Keystone carefully reviewed my file before telling me that he didn't believe it was Lyme disease that was making me ill - too long between the bite and the manifestation of the disease, he said. He agreed that my symptoms were consistent with Lyme disease, and that it probably had been a tick bite I had three years ago. But my illness was more likely caused by stress, he explained. "Lyme disease is the most overdiagnosed disease in North America," he continued. "Even if you did test positive on a Lyme disease test, I would test you again and again and again." He said he didn't want to treat me for a disease I didn't have, and tests can produce false positives. I was stunned. What cancer or heart-disease patient, I thought to myself, has to prove their illness over and over and over again to get treatment? I left his office in tears, believing that no one in Canada was ever going to be willing to treat me. A few weeks later, however, I found a doctor - after obtaining a positive test from a California lab. "If someone's living in downtown Toronto, the chances of them having Lyme disease are incredibly low," Dr. Keystone explains now. "If we tested every patient who comes in with symptoms like you had, we would have huge numbers of people with false positive tests. ..... I'm not a Lyme expert, but as far as we can tell, there's very little Lyme disease in Ontario." It may seem astounding that doctors who devote their lives to healing the sick would willingly turn patients away at the door. But the medical controversy over both the diagnosis and treatment of Lyme disease has created a difficult climate for patients and doctors alike. Over the past few years, more than 50 physicians in states such as New York, Connecticut and Michigan have faced lengthy investigations costing hundreds of thousands of dollars for administering long-term antibiotics to Lyme-disease patients. Many have been disciplined and some have lost their licences, creating a climate in which many doctors are reluctant to take on Lyme patients. The most acrimonious debate is over one question: How much antibiotic therapy is enough? On one side is a group of scientists and front-line physicians who believe that the symptoms of Lyme disease are diverse and defy easy diagnosis and treatment. If not caught in the initial phase, when both sides agree the disease is highly curable, patients will require months, if not years, of antibiotic therapy. If patients are still symptomatic after six weeks of antibiotics, these doctors believe they haven't been treated long enough. On the other side are the majority of infectious-disease researchers who develop drugs, receive research grants and often advise insurance companies. They believe that Lyme disease is easy to diagnose and cure. If the patient doesn't fully recover after three to six weeks of antibiotics, the patient is suffering from the aftershocks of the disease, they maintain, and further antibiotic therapy is pointless. They believe that lingering symptoms are caused by an autoimmune response triggered by the initial infection. And they warn that long-term antibiotic treatment can cause side effects such as allergies, colitis, gallstones and liver damage, and risks creating drug-resistant superbugs. Both sides have scores of studies supporting their opinions. As a result, many physicians are either ill informed or simply unwilling to treat patients, says Pat Smith, founder of the U.S. National Lyme Disease Association, based in New Jersey. "Lyme-disease patients are the lepers of the 21st century," Ms. Smith declares. She says she has referred dozens of Canadians who can't find treatment here to physicians in the United States. "No one wants to treat them. Sometimes it is just ignorance, and sometimes it's that doctors are pleading ignorance because it's just much simpler not to get involved." Maureen McShane has been on both sides of the divide. 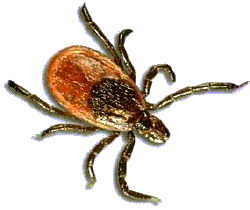 Dr. McShane lives in Montreal, but practises in Chazy, N.Y. She was bitten by a tick in the Laurentians two years ago. By the time she finally figured out for herself what she had, she had already seen scores of doctors in Montreal - from neurologists to a rheumatologist, who said her symptoms were caused by early-stage menopause. She admits that, before her own diagnosis, she didn't know much about the disease or the controversy. "Honestly, it's not that I was a bad doctor, but I didn't recognize the signs of Lyme disease myself," she says. "When I did hear about Lyme disease, I thought to myself, 'If only they'd get regular exercise and eat well, they'd get better.' I had no idea what these people were going through." It took two years of antibiotics before she began to feel well again. Dr. McShane says she understands that doctors are in a difficult position. "They know that if they prescribe long-term antibiotics, they run the risk of losing their reputations and their licences." Critics charge that the medical boards in many U.S. states have taken sides inappropriately in an argument that should be fought in journals and at medical conferences. It is, they claim, the insurance companies - which have huge stakes in the outcome of the battle because they don't want to pick up the tab for expensive long-term therapy - that are responsible for driving the Lyme-disease agenda. New York state assemblyman Joel Miller at first dismissed such complaints from his constituents. "But when I began to investigate it for myself, I found that most of the complaints against doctors were filed by insurance companies," he says. "It's a travesty that we've fought years to try to correct." Mr. Miller is one of a handful of legislators in his state responsible for helping recently to overhaul the laws, allowing physicians the freedom to treat Lyme disease in the manner they feel is most effective, without the threat of investigation by medical overseers. Although doctors in Canada have yet to face such scrutiny, some who are treating Lyme disease with long-term therapy have expressed concern that they, too, will be hauled before their medical boards. The other major concern is that testing is still so inaccurate. Even the U.S. Centers for Disease Control advises doctors to use the tests only to support a diagnosis based on patient symptoms. Health Canada says it has no idea how precise the tests are. Some doctors believe that the tests miss 40 to 60 per cent of true Lyme cases. One of them was Joan McComas, a 56-year-old tenured professor who lives in Ottawa. Like many Lyme patients, she does not recall being bitten or developing a rash, but she had been camping near Thunder Bay in the summer of 2000 before she came down with a flu she couldn't shake. Over six months, her list of maladies began to multiply - crushing fatigue, trouble with her balance, odd smells like mothballs and dishwater detergent. The doctors were mystified. Maybe it was a brain tumour. Two years later, she had lost control of her body, her limbs jerking violently every few seconds. Four years later, she was falling backward and sideways, and struggling to walk with two canes. "I could deal with that," Ms. McComas says. "What I couldn't deal with was that I was losing my ability to think. ..... I was having trouble finding the right words. I couldn't even recognize the faces of people I knew." Then came a new diagnosis, of an extremely rare, degenerative disease. The doctor told her that she had a few years to live, and she prepared herself. A few months later, her doctor told her that she wasn't going downhill fast enough. Her illness, he said, was all in her head. One spring weekend at an Ottawa drugstore, she described her symptoms to a pharmacist. "Did you consider the possibility of Lyme disease?" he asked. She had been tested. A negative test in Ontario didn't mean much, he told her. The tests produce both false positives and false negatives. My own doctor, infectious-disease specialist Hovsep Baghdadlian, says that of the 125 people he is currently treating for Lyme disease, only 10 per cent tested positive on Ontario tests. Like me, many doctors treating Lyme disease have turned to specialized labs in the U.S. But some Canadian doctors are loath to recognize foreign tests. When Ms. McComas received a positive test from a California lab, her infectious-diseases doctor in Ottawa refused to recognize her test results or treat her. Feeling she had no choice, she headed to New York, spending $12,000 on medical treatment. After a year of both oral and IV antibiotics, she says she's more than 90 per cent better. Should doctors prescribe antibiotics when they aren't 100 per cent certain that the patient has Lyme disease? Jim Wilson, for one, is unequivocal: The devastating consequences of physical, cognitive and functional disability associated with Lyme disease far outweigh the risks of antibiotic therapy. For its part, Health Canada says it is working hard on Lyme disease. It is conducting annual surveys to identify endemic areas, and has recently committed $800,000 in research funds to the disease. The agency's Paul Sockett says there is a proposal on the table to meet with the provinces this year to discuss Lyme disease. But Mr. Wilson says it's not enough: "We are years behind in all of this. They have done absolutely nothing in terms of advising people of the seriousness of what's in their backyards." As for me, five months and a truckload of antibiotics later, the bacterium that invaded my body appears to be receding. My worst symptoms are now long gone. Still, soap won't wash away the medicinal smell that permeates my skin. My teeth are yellow from all the antibiotics. Dr. Baghdadlian tells me that the stain will go away as soon as I stop taking the pills. "When?" I ask him. He shrugs and sighs. Maybe a few more months. Maybe many more. Still, I am lucky. I found a doctor willing to do what many doctors would not. I am getting better. Slowly. It's horrifying to have a disease wrest control of your body. It's just as terrifying to struggle in vain to convince doctors of the seriousness of your condition - or even its existence. I managed to do both, but the most frightening thing of all is that many victims of Lyme disease have failed on both counts. Susan Bourette, a Toronto writer, has won several awards for her investigative journalism.